Kid 1: If I was to be killed and eaten, I would like to be put to sleep so I couldn’t feel anything, then have every part of my body used, eaten and nothing wasted. Kind of like a soft shell crab. He really is showing an extreme commitment to the concept of nose to tail eating. During the school holidays, Kid 1 watched a junior baking show on television where ten year olds created intricate baked goodies. 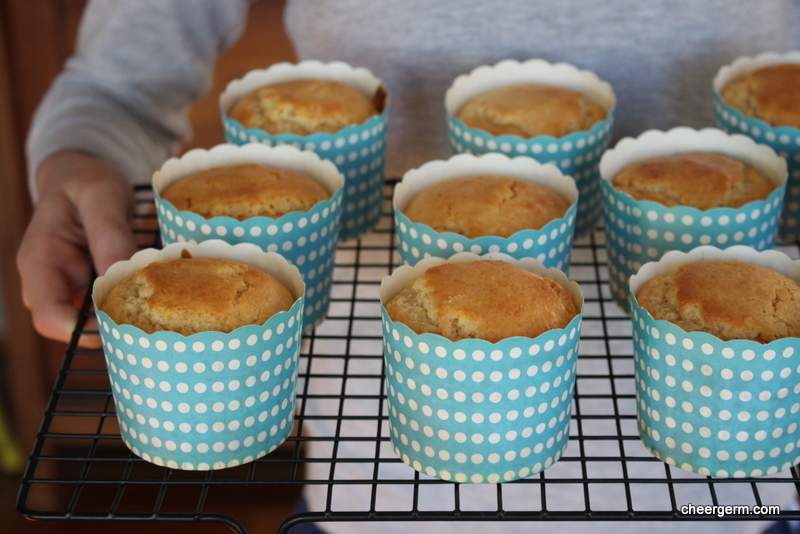 This put a fire in his belly and he insisted on baking these muffins completely by himself (under my supervision.) His egg-cracking ability has come along in spades and it’s lovely to observe his burgeoning kitchen confidence. This is a standard recipe in our household and they are very good. 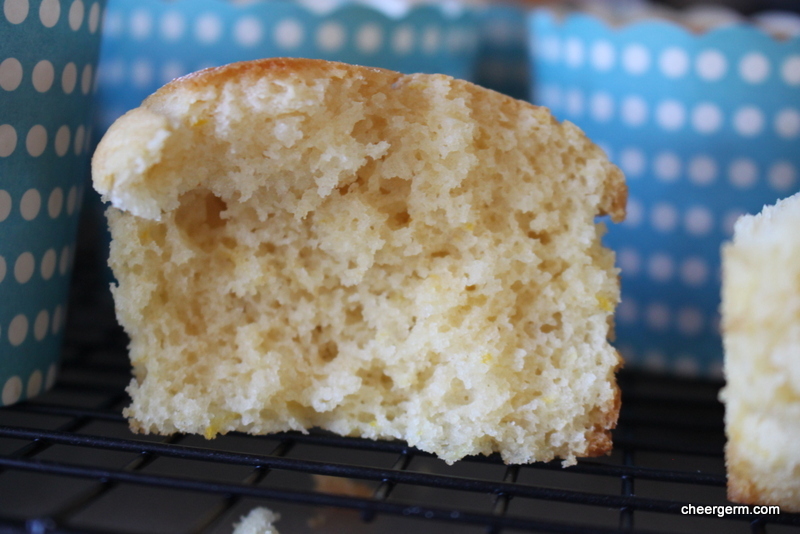 The sour cream moistens the muffins and contributes towards a tender crumb and light golden exterior. They are tangy, creamy and moreish. The only thing that will be be left is the muffin wrapper. 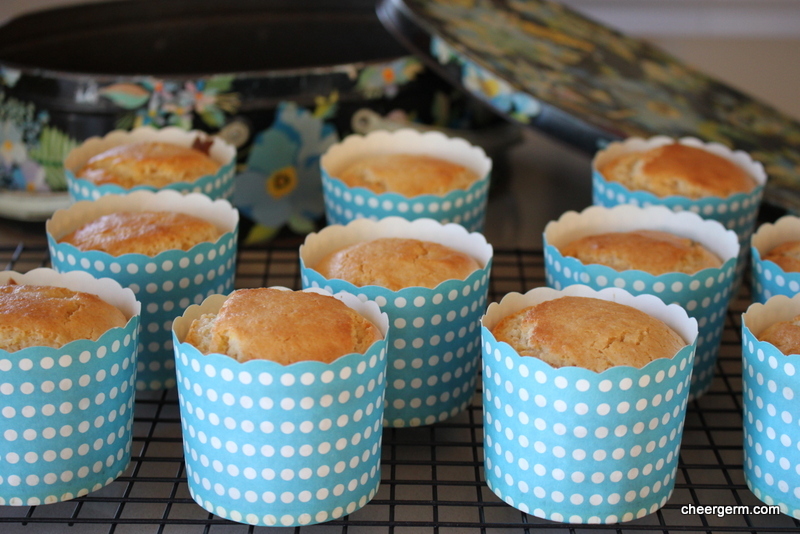 Preheat the oven to 200C and place your muffin papers in a muffin tin or on a baking tray. 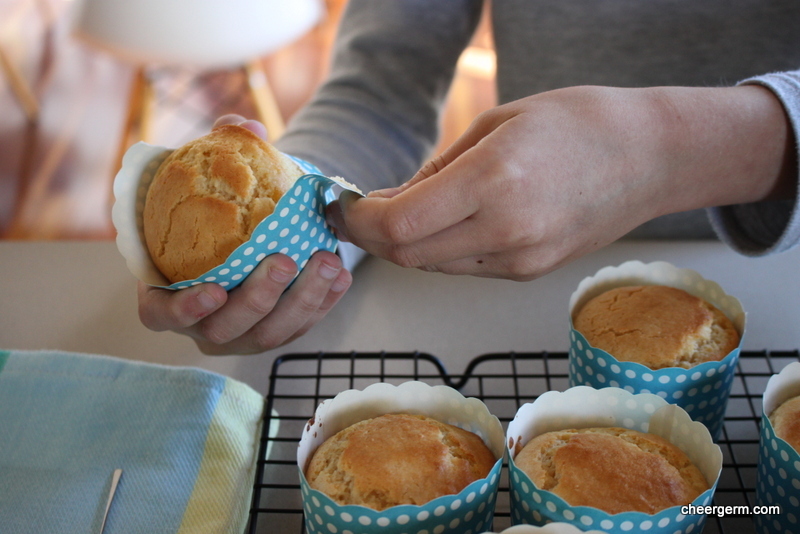 I will often give the muffin papers a light spray with rice bran oil spray to avoid sticking. In a large bowl, combine the oil and sugar. 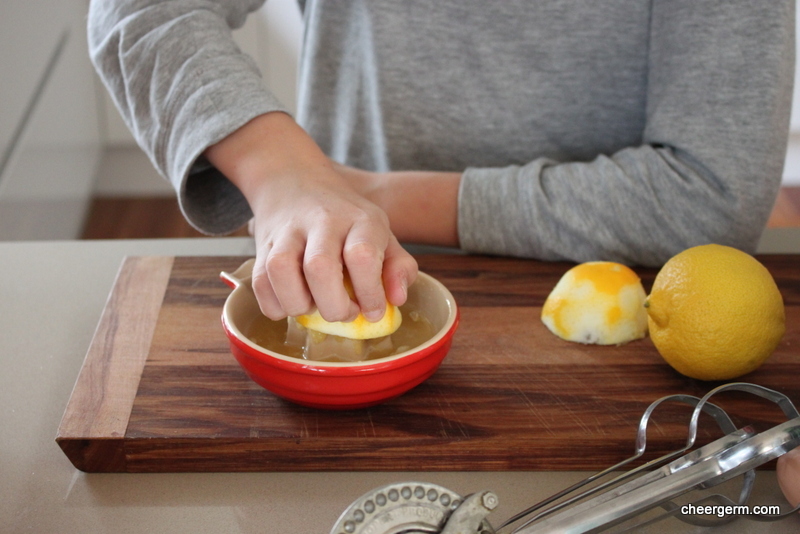 Add the lemon juice, lemon zest and sour cream and mix well. Sift the flours, baking powder and salt into the bowl then fold in gently. Do not overmix or your muffins will be not as tender. Fill the muffins papers about 2/3rds full and bake for about 15-20 minutes until they are risen, light golden brown and a skewer comes out clean. Slightly adapted from a recipe from Jens Favorite Cookies blog, link to original recipe follows. 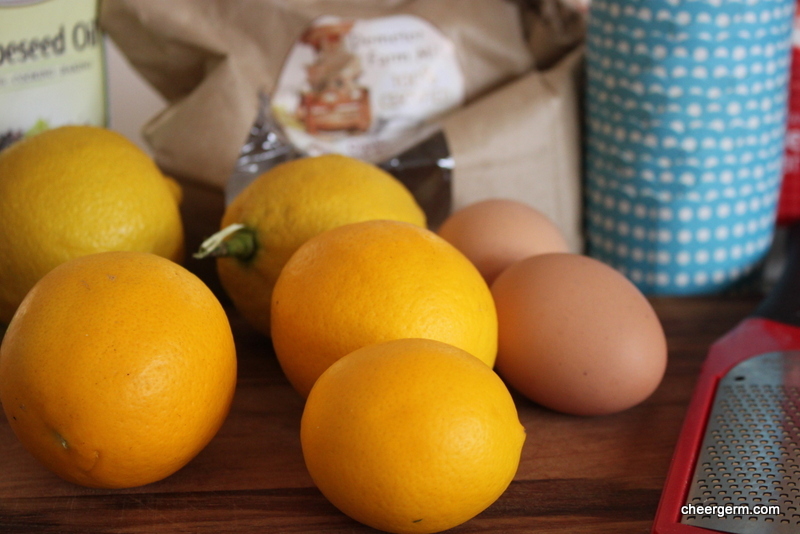 This entry was posted in Family memories, Old school baking and tagged baking, baking with kids, cheergerm, Cooking, food, lemon, lemon muffins, lemon sour cream muffins, recipes. Bookmark the permalink. Kid 1, you are a wonder! His hunger for sweet goodies is a great motivator! Ha ha….he would be rather tasty Kate. That saying cracks me up. Oh, I am envious. A smart young snapper with such sensibilities is your son. And those muffin papers! Where do you get them? Doubtful I will find in France but one can dream….. He has a gift of self-expression, that’s for sure. Keeps us on our toes. Aren’t they adorable? Got them on sale at a kitchenware shop. I have seen similar ones in ‘two dollar/cheapie’ shops as well. Do you have those kind of shops there? You’ll be able to retire soon, Cheery, sit with your feet up and have Kid 1 attend to all the cooking…. Now that’s something worth working towards. A great big emoji thumbs up at that! 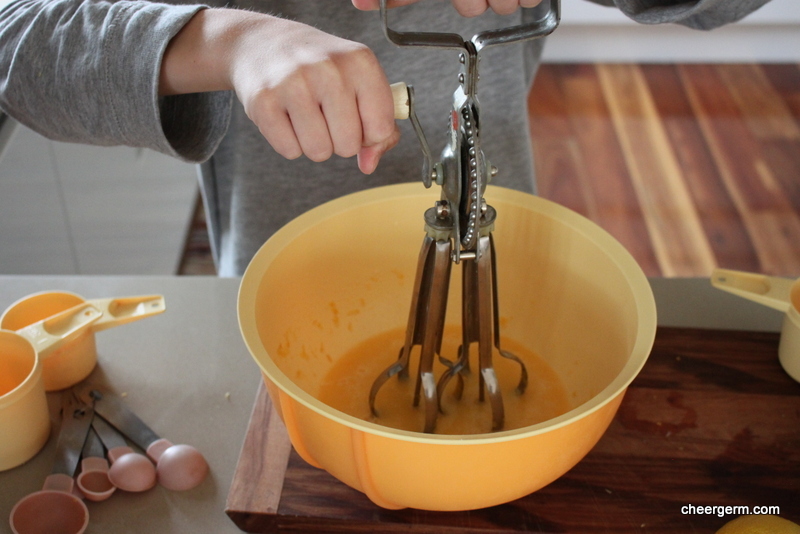 Training a child in cooking skills is always rewarding. Soon he’ll be making whole meals! 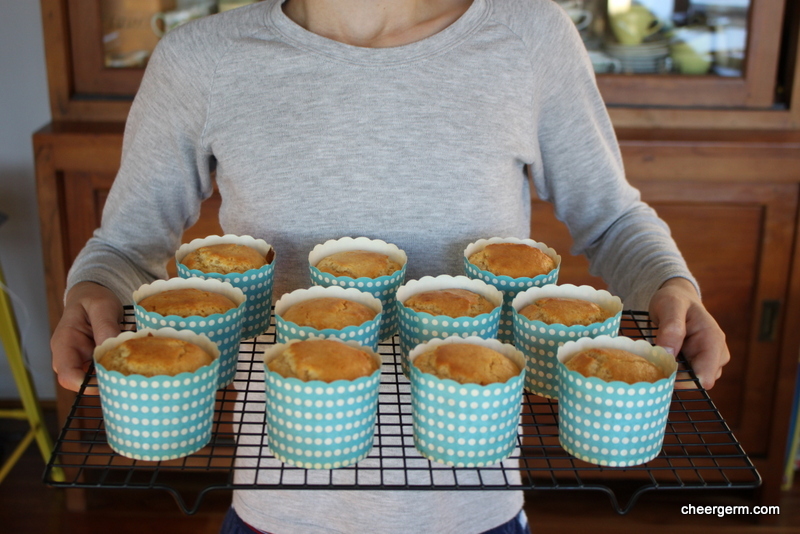 Great muffins. That’s the hope and dream KW! He can be a bit of a self-doubter so it’s great when he sees he can keep trying and eventually get better at something. These look yummy! Great job Kid 1 🙂 Looking forward to more tasty recipes! hmm, I haven’t gotten past the soft shell crab comment… but the muffins are lovely, and it’s so cool your kid is baking! He, he…Thanks Mimi, let’s hope he continues! Oooh! Lemon! And look at your boy making muffins. That is fantastic. 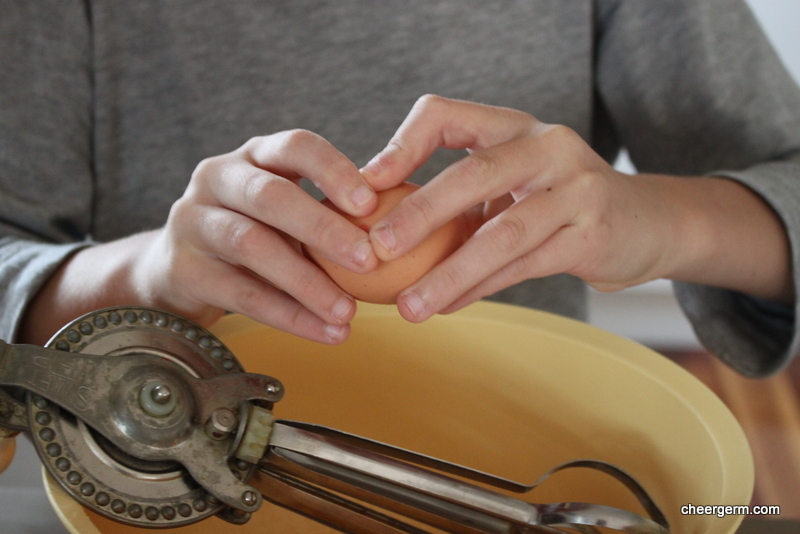 And I have to comment on the hand-crank egg-beater because my mom had one of those and used it for all kinds of baking. Where on earth did you find it? I know, let’s hope he continues the interest! 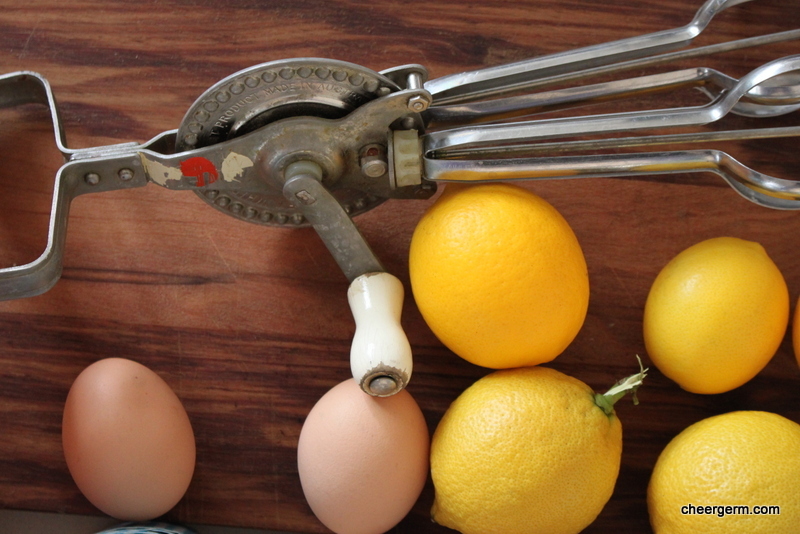 How cool is the eggbeater? My mum had one too and I found it in a vintage/secondhand shop. It was from the old home economics department at a college in the city. I love it and it’s so handy! Perfection as ever Lisa. Really lovely. Thanks Conor. Nice to sit back and let someone else do the work! I see a future in this for me. Oooh yum! I’ve found cake recipes that use oil as the fat have a better texture if they also have sour cream or milk. Wondering if I could use sourdough starter and milk instead – I don’t always have sour cream on hand. I think it’s worth a try! 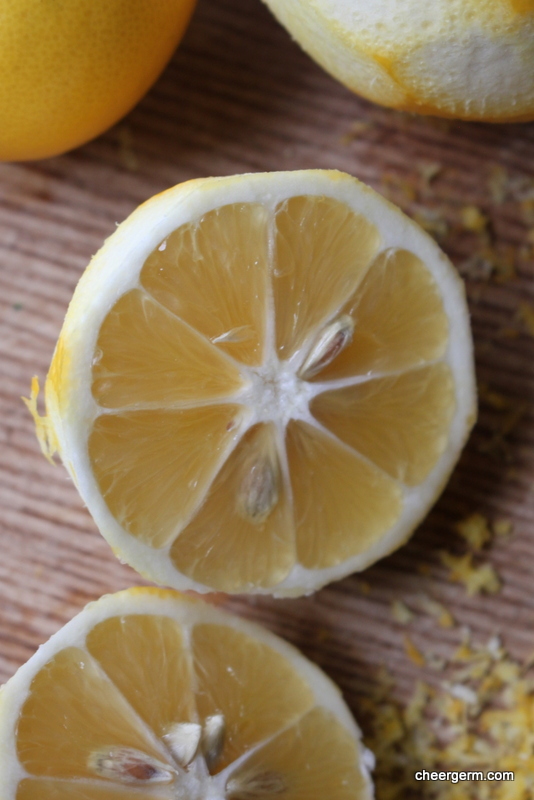 I often sour my own milk with a teaspoon of lemon juice to a cup of milk and let it sit for a bit. Yes, I agree. Just oil can be a tad dry. I’ve read that you can sour milk that way but never tried it!